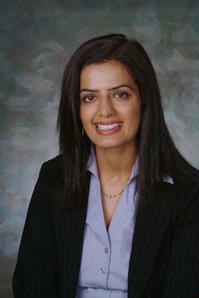 One Percent Realty Ltd. was established in the spring of 1999. Market research suggested that the public recognized the value of a “middle man” for showing properties and negotiating a sale, but that they viewed prevailing commission rates as too high. The initial introduction of the One Percent real estate brokerage concept to the public was through a Remax franchise office which initially approved, but then revoked it’s approval shortly thereafter. As a result One Percent Realty Ltd. was incorporated. Realtors spend most of their time soliciting business. In fact, like it or not , most realtors feel that half of their job is done the night they list your home for sale. This is contrary to the seller’s belief that when their property is listed that is when the realtor’s job starts. By offering a lower commission rate our realtors spend less time looking for business and more time doing our job, which is selling your property. Real Estate fees are high for a number of reasons. The main reason is because many homes do not sell. Other real estate agencies assume the cost of advertising your home when it is listed for sale. However if a property does not sell the realtor must somehow make up this expense. The expense is passed on to successful sellers by way of high real estate commissions. This means that the reasonable and successful seller must pay for the ad costs of the unsuccessful seller. This makes no sense. Our system rewards the successful seller with a much lower commission as well as giving the seller total control over where, when and how his property is advertised. Instead of the traditional relationship of seller wanting more advertising and the realtor wanting less (to keep his costs low), the One Percent Realty concept gets the agent and seller on the same “team” pursuing the same goal, which is to sell your property. One Percent Realty offers local knowledgable salespeople in many areas. We hope that you will click onto this website and enter your home address so that a local representative will contact you . That way, our salesperson can spend his time showing and selling properties and not be “cold-calling” you for business when you are having your dinner.